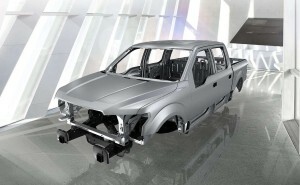 Short of visiting a metallurgical lab, there’s no way for collision repairers to distinguish between the different types of automotive aluminum by sight — they all look the same, according to an expert. 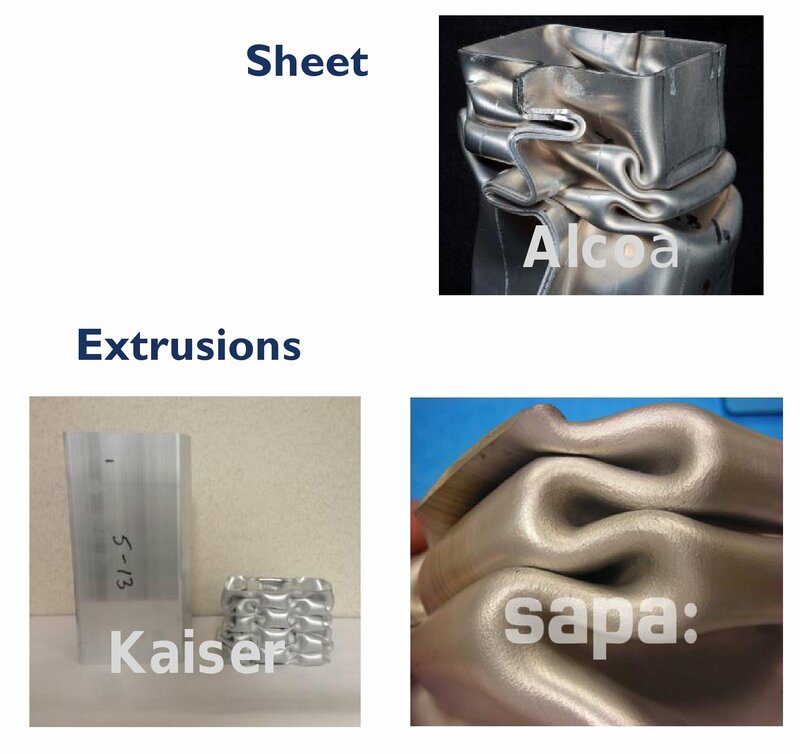 But they all behave differently, and the alloy portfolio available to OEMs is growing, making it vital for auto body shops to refer to automaker repair procedures before working on the metal, Kaiser Aluminum engineering and technology Vice President Doug Richman said. 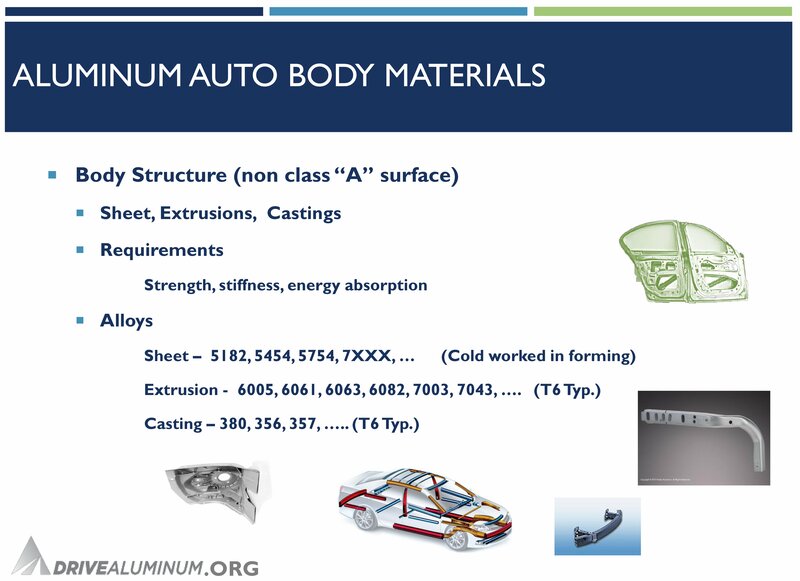 Automotive aluminum includes sheet, extrusion and casting varieties, and like steel, each alloy (commonly designated by a three- or four-digit number) is selected for a specific design role. Some alloys are heat-treated, while others are cold-worked to deliver the desired properties. “They act very, very differently,” Richman said. This treatment or the lack of it can be indicated by the confusing terms “heat-treatable” and “non-heat-treatable.” If you see or hear those adjectives, know that they’re directed at the mill and OEM factory levels — not instructions or restrictions for collision repairers. You’ve still got to check with the OEM to determine what repair procedures can occur on that alloy. T6 is 50 percent stronger than T4, but T4 is more common on vehicles as it’s more malleable. Low-volume European production runs sometimes even make the entire vehicle out of T4, and age it to a T6 level, according to Richman. 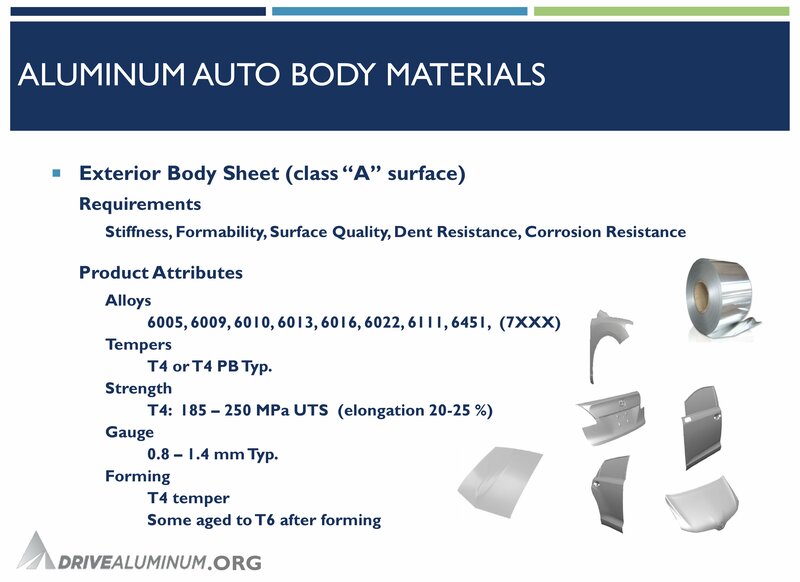 T4-strength aluminum or a T4 which has gained a little extra toughness during the OEM’s paint-baking process is often found as the exterior body sheet “Class A” material, according to Richman. Structural parts are often T6 extrusions or castings, as they demand strength, rigidity and the ability to absorb energy, he said. “You need to know which one you’ve got,” he said. For example, apply heat to T6 aluminum, and it can revert to the weaker T4 state, which is why Audi won’t allow TIG welding, Audi collision programs and workshop equipment specialist Mark Allen said at a panel following Richman’s talk. Heat and quench aluminum, and it loses rather than gains strength. Steel, in contrast, would stay stronger but more brittle, one reason why you must avoid heat on some higher-strength steels too. The same heat issues apply with sectioning. Use a torch on some aluminum alloys, and “you remove the temper,” Richman elaborated in an interview Tuesday. So OEM engineers thinking of repairability have to place the joint away from a “high-stress region” so sectioning can occur, he said. The moral: You can’t wing it anymore, no matter how good you are. “You can’t always find the cracks in a cast part,” he said. Advances are coming, probably helped by automakers’ increased interest in the metal. Aluminum is reaching 400 MPa ultimate tensile strength at low thicknesses, and a really cool new “crush grade” aluminum which crushes the same way every time is in development. The applications for the latter are obvious for OEMs seeking to manage crash energy without hurting passengers; Richman gave the examples of structural components like frame rails, crash cans, the body, and the bumper. “Crush grade” aluminum is already available at 300 MPa ultimate tensile strength, and “It will get higher next year,” Richman said. It promises 30 percent greater strength, 40 percent greater formability, and a 20-day rolling process cut to 20 minutes using a quarter of the traditional sheet mill’s half-mile length. A normal sheet mill costs $1 billion, but Alcoa won’t say how much a Micromill option costs. It sounds like magic, but it’s probably market-ready, according to Richman. “They don’t bluff,” he said of Alcoa.